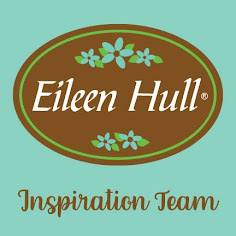 Hi everyone and welcome, including to my newest followers and those who have made the jump to Bloglovin'. Oh yes, you can see from the new icons (and the random post earlier today) that I've taken the plunge and got it set up before the 'apocalyptic ending' of Google Reader on 1st July. Oh yes, Father's Day will soon be upon us in the UK so I've made two of these cards, and they include something of another major triumph this week. See the filmstrip and the tickets? Woo hoo! These are Sizzix Strip Dies (from Linda's very special discount at The Funkie Junkie Boutique recently) and I have found a plate sandwich which lets them work through my Grand Calibur!!! Result. Now I can join the party and use a wider range of fantastic dies. and the DCWV Timeless Type Stack (the background, polaroid frame and black typeface edges). Filling that Polaroid frame was a challenge. I tried using the Distress Stains on the gentleman and masking him to blend and spritz the background but the water reacted with both, so layering a fussy cut man seemed the best option. I love the DI Aged Mahogany/Pumice Stone combo too. I remembered a trick learned a while ago - using Pan Pastels as a smudged border to areas you want to highlight - and added some brown onto the centre of the background. Oooh yes, and a couple of TH rub-ons made their way on to this too. They are coming in rather useful. Hi Jenny , What a very masculine cards. Love all the layers and the way the film strip seems to float asking the viewer to imagine just what the pictures will be. I have to sit down and get my head around Bloglovin too I suppose. Great Father's Day with all the texture. I was wondering why I had problems commenting on certain blogs....now I know!! This is an awsome masculine card with a wonderful vintage feel. Love the collaged effect of all the elements. Awesome colours and layering and a lot of my favourite stuff on there, combined brilliantly! LOVE IT!!! Morning Jenny, Loving your Father's Day card, and it seems your Dad loves it too !! ha ha !! I haven't a clue about Bloglovin, I will have to have a look. Two amazing cards Jenny! Well done for actually cutting into those papers and I agree they go very well together! Like you I think the google changes will not be so dramatic, but I linked to Bloglovin a couple of weeks back, - just home I have done it right, but so far all seems ok.
Well done on your win and what a lovely make. All the elements come together so well. Jenny, this is a manly feast for the eyes! Love all the elements you put together so perfectly! Great card for Father's Day! I hope the upcoming changes with Blogger won't cause too many problems. I don't think I am understanding how this might involve my blog! Have a great weekend! Hugs! Brilliant masculine project with again so many interesting elements. I'm puzzled - is Blogger still going to be functional or do we all have to change to somewhere else. I don't actually use Google Reader so will I still be able to see blogs I follow?? Fabulous masculine make! So glad you've found a way to use the Decorative Strip Dies - they're some of my absolute favourites - and the film strip looks brilliant here with these papers and stamps. Great work! Congrats on your very well deserved win for a beautiful project. Loving this card, did you have to have a lie down in a darkened room when you cut into those papers? Most excellent Father's Day make! Love the newsprint and the awesome stamps! but onto your stunning make ..its fab I love how you have combined everything in yur normal effortless style! 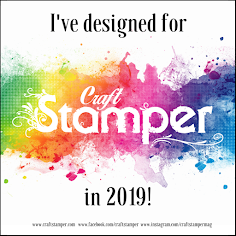 Should, of course, also have said: Thanks so much for playing along with us at The Artistic Stamper. So lovely Jenny! I appreciate all the layers and texture. Sorry to be light on visits just now but end-of-year school things are drawing me in. Back soon, I hope! 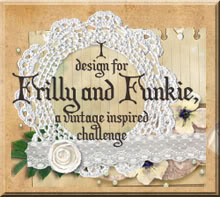 A wonderful collection of images and die-cuts Jenny. You have that knack of pulling everything together into a fabulous collaged piece. Lurve that so much ;) Thanks for playing at The Artistic Stamper this month. This is such a cool collage! I love how the filmstrip is holding everything in place. Just catching up - Fabulous card, love the collection of images.